When shopping for any vehicle, it’s vital to consider resale value. This should be your single-most important buying criterion. The challenge, however, has always been to establish which vehicle fares best in this regard. Now, for the first time, the sports utility vehicles (SUVs) with the best resale value can be revealed! The best SUV in the country – in terms of resale value – is the Hyundai Creta! This has been revealed by Darryl Jacobson, managing director of True Price, who adds that SUVs are being snapped up on auction. Jacobson and the rest of the True Price team attend all major bank repossession auctions in Gauteng. They do this in order to gather data pertaining to vehicle sales. This data is utilised to provide free vehicle evaluations to South African motorists. Note: All vehicles in this study were first registered in the years 2015 to 2018 (both years inclusive) and they have done between 0 and 150 000km. 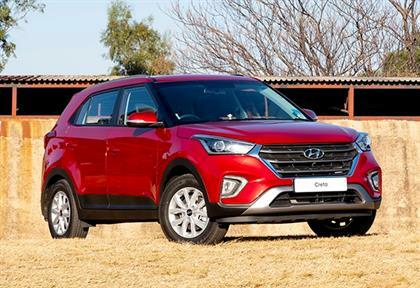 The Hyundai Creta, which was refreshed in the third quarter of 2018, is a trendy and stylish compact SUV that is always a firm favourite amongst both private and trade buyers at auctions. “It always attracts a great deal of attention and, as the figures show, achieves very good resale values,” says Jacobson. He adds that the vehicle is extremely well appointed, boasting some great features, such as a touchscreen infotainment system and Bluetooth. 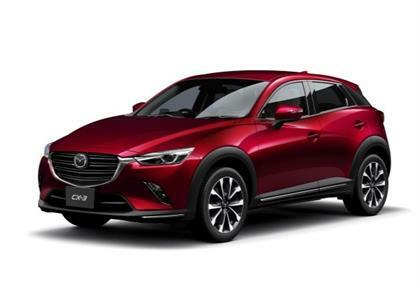 The Mazda CX-3, which was enhanced in July last year, is a stylish small SUV, which Jacobson describes as “the benchmark in its class”. “It offers a quiet and refined ride, it is brilliant to drive, it is elegant and it is the perfect vehicle for the lift scheme mom. In my opinion, it is also better looking than the CX-5,” Jacobson adds. He believes that the CX-3 is one of the reasons for the success of the brand in South Africa. “I have watched, with great interest, the growth and development of the Mazda brand since Mazda Southern Africa started operating as an independent national sales company in October 2014. Thanks to the gorgeous styling and innovative technology of its latest products and the introduction of innovations such as Mazda’s Lifetime Parts Warranty, South Africans – most notably private buyers – have flocked to the brand. Resale values, as a result, are uniformly strong. This is especially the case with the CX-3,” Jacobson contends. According to Jacobson, this is one vehicle that always attracts attention on auction – irrelevant of the kilometres clocked or condition of the vehicle. “This is an iconic SUV that all buyers aspire to own. It is a genuine 4x4 too, which is enormously capable off-road. Couple all this with Toyota’s exceptional reputation and you have a real winner here,” he notes. The second Toyota in the top 10, the excellent resale value of this vehicle is testament to the power of the Toyota brand – yet again. According to Jacobson, the Fortuner is incredibly popular with all SUV buyers – whether they’re shopping for a new or used vehicle. “It was the sixth most popular new passenger vehicle last month, clocking up a whopping 954 sales in the month of March. When a Fortuner falls under the hammer on auction, there’s always a lot of eager bidding. Everyone loves the ‘Tuna’; just visit the game parks… this vehicle is almost more common than the impala,” Jacobson says with a smile. 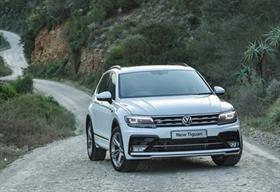 A seven-seater version of the popular Tiguan was launched in the second quarter of 2018, and Jacobson says that this has only served to further entrench the popularity of this superbly engineered SUV. “The Tiguan is a sound option for anyone who is looking for a classy, stylish, safe and exceptionally well-built SUV,” he says. 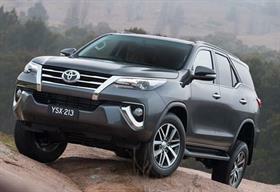 The third Toyota on the list of top 10 SUVs, the RAV4 really got the tongues wagging when it was first introduced back in 1994. “It was something completely different. We all sat up and took note,” Jacobson recalls. Since then, a plethora of cute and quirky SUVs have made their way into the market. However the popularity of this Toyota has never waned. 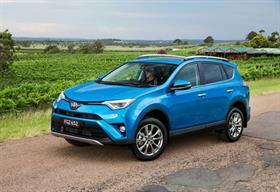 “It is compact yet spacious, safe but great fun to drive, good looking yet very capable… it really is a fabulous SUV. 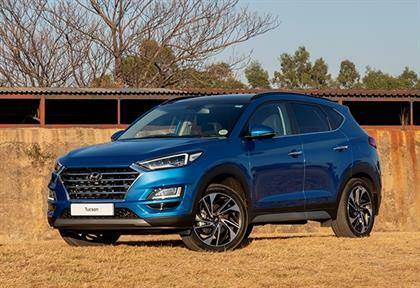 This is reflecting in substantial new car sales (715 last month, making it the 10th most popular passenger car in South Africa) and strong demand in the used car market too,” he adds. The all-new fifth generation RAV4 has just been launched in South Africa; Jacobson predicts that its resale value will also be exceptional. The second Hyundai in the top 10, the Tucson replaced the popular ix35 in March 2016. “The nomenclature of this particular SUV has been an interesting journey. The first Tucson was launched in 2005. It was really popular (a total of 22 716 Tucsons were sold in South from 2005 to 2010) but then it was replaced by the ix35 (of which a further 33 692 units were sold). Hyundai decided to revert to the original name in March 2016,” Jacobson recalls. While the Tucson name has come and gone, one thing has not changed. 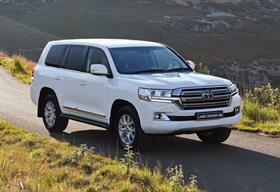 “Thanks to the fact that it is spacious, stylish and comfortable, South Africans have remained loyal to this SUV. Its low running costs and superb seven-year/200 000 km warranty seal the deal,” Jacobson says. Clocking in at position number eighth are the Mercedes-Benz models in the GL family: namely the GLA, GLC, GLE and GLS. These vehicles are often seen on auction, and bidding is always keen. “They are favoured by trade and private buyers because of their sassy styling, magnificent ride, high-tech features, sensational build quality and luxurious interiors,” Jacobson reveals. 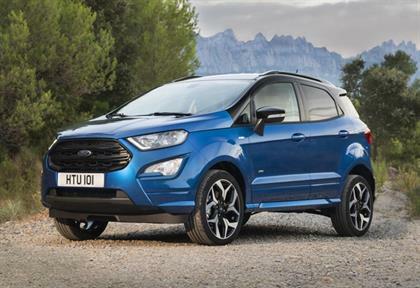 Compact, good looking and well-priced, the Ford EcoSport is much loved by both new and used car buyers in South Africa. “It was the seventh most popular passenger car in South Africa last month, recording 868 new vehicle sales,” reveals Jacobson. It’s very popular on auction too. “Buyers perceive it as a value-for-money offering,” he adds. 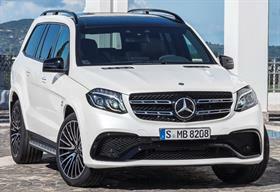 The introduction of the new entry-level petrol-powered model, the 1.5 Ti-VCT Ambiente, in November last year, will further reinforce the popularity and affordability of this compelling SUV, Jacobson believes. One of America’s most iconic vehicles, the Jeep Wrangler is much loved the planet over… and South Africa is no exception. 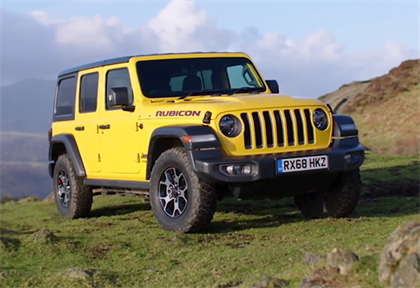 “The Wrangler has always been an immensely capable off-road vehicle. However, the latest model is quite good on road too, its interior is more refined than before, and it is surprisingly quiet too. These factors have seen the popularity of this plucky and capable 4x4 grow amongst South African motorists – and the vehicle’s resale value has soared upwards too,” says Jacobson.